Snack bag will be provided for all. You will be prompted to select your morning and afternoon sessions after filling out the form below. Adolescence and young adulthood can be particularly challenging periods for many individuals with Autism Spectrum Disorder (ASD). Demands related to social relationships, building independence skills, academics and employment can create stress and uncertainty. In this workshop, we will discuss key considerations in supporting individuals with ASD during the transition to adulthood. We will focus on specific supports, accommodations and resources to help navigate this transition and develop a comprehensive transition plan. The Eligibility Review process is the gateway to the Office for People With Developmental Disabilities (OPWDD) services in New York State. This presentation will provide an overview of OPWDD, information on how to determine eligibility and information on how to access services in all five boroughs. [C] FAMILY SUPPORT SERVICES: WHAT ARE THEY AND HOW DO YOU GET THEM? This workshop will provide an overview of the vast array of Family Support Services. Services to be presented include community habilitation, family reimbursement, housing assistance services, recreation programs, home modification and Project Connect, an information and referral service. Join us for a session on Special Education, where we will raise awareness on the issues affecting Special Education in New York State. These include student transportation, closing of many Early Intervention Programs, and limited residential services and supports in New York State. We will discuss what we can do as family members and professionals to advocate to voice our concerns. Join Edward R. Matthews and Kerry A. Delaney, CEO, Partners Health Plan, in a discussion about current service delivery and the movement to managed care in the future. Individuals and parents will share their experiences with the skills and resources they have accessed to be successful in living independently. A summary of how to use generic community resources will be provided. Hear from parents, individuals and the staff that have worked firsthand to ensure success with living independently. [F] WHAT IS SUPPORTED DECISION MAKING NEW YORK (SDMNY)? 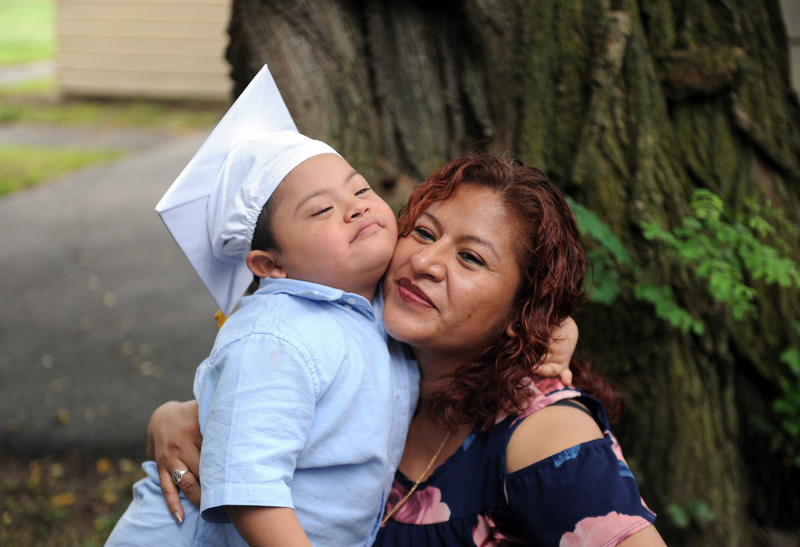 Supported Decision-Making New York (SDMNY) aims to promote supported decision-making as an alternative to guardianship for persons with intellectual and developmental disabilities (I/DD) in New York State. This workshop will describe the process and outline how to proceed in a relatively new program in New York State. Whether kids, teens or adults on the autism spectrum are serious artists or simply having fun with crafts, it’s essential to address any sensory and motor challenges that may interfere with focus, creativity, and enjoyment. This lecture will provide “sensory smart” strategies for creating positive environments, selecting appealing projects and materials, enhancing the person’s fine motor, gross motor, and visual skills and empowering the artist to have a wonderful experience. New York State has been moving towards managed care for our loved ones for a few years now, and currently exists on a voluntary basis through Partners Health Plan (PHP). CCO implementation towards mandatory Managed Care was the first step, and within a few years it will become mandatory. ADAPT and other organizations have been in the forefront of Managed Care implementation. Come hear from ADAPT and our partner from PHP about the successes we have achieved thus far. Yes, I would like to receive e-mail updates from ADAPT. C. Family Support Services: What Are They and How Do You Get Them? F. What is Supported Decision-Making New York (SDMNY)? 5. Do you need any translation services? "Person with a Disability" tickets cost $0.00, of which $0.00 is tax deductible. "Family Member" tickets cost $0.00, of which $0.00 is tax deductible. "Professional" tickets cost $0.00, of which $0.00 is tax deductible.